Video has become a hot topic in the enterprise world. With videoconferencing becoming more accessible all the time and employees easily able to shoot a quick video via phone and share it over work social media accounts, organizations have an opportunity to engage workers and collaborate in exciting ways. However, using video consistently puts a significant strain on the network. Any real-time data format can run into major performance problems in the event that packets are dropped or delayed. Video is particularly susceptible to such problems because of the large amounts of data in each packet. Software-defined WAN solutions are emerging as a key option for businesses trying to ramp up their video strategies while avoiding network problems. Typically, an enterprise WAN network is designed primarily to support basic internet use. Companies may also use a specialized solution, such as a multi-protocol label switching setup, to serve as a network link for mission-critical traffic between branch locations. WANs are generally built with very limited bandwidth as they are meant to transport web traffic, which generally does not require especially large data packets. MPLS solutions, on the other hand, may be able to deliver more capacity than basic WANs, but video can clog an MPLS configuration and cause performance trouble for other critical traffic. With such high bandwidth needs, video can be a demanding part of operations. The issue is that video files are notoriously large, especially as high resolution content becomes the norm. Even smartphones can capture video in full high definition. With video becoming more common as a collaboration tool in the enterprise, companies are dealing with more data-rich packets moving within the network. With Ethernet systems set to drop and resend packets in the event that there is more data moving through the network than capacity to handle it, video becomes a problem. Data packets must be delivered in real time, so a single dropped packet leads to disruption in the end-user experience. 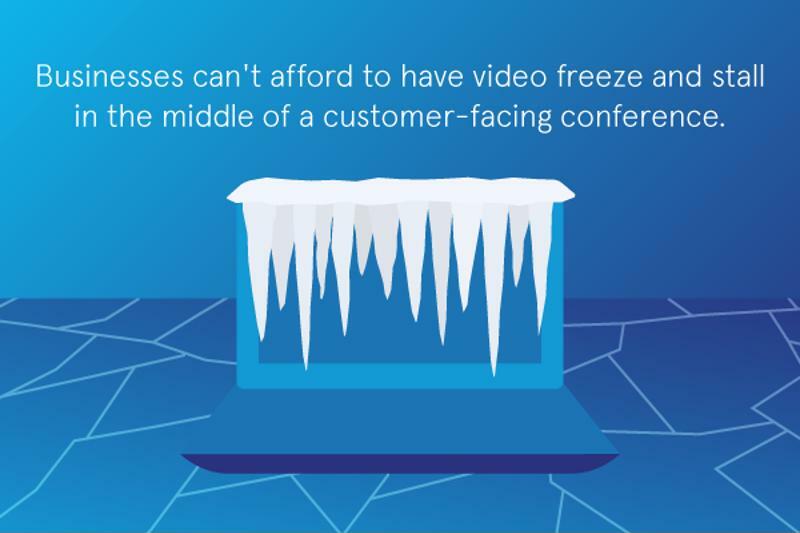 For example, businesses can't afford to have video freeze and stall in the middle of a customer-facing conference. Setting up a dedicated content delivery network. This strategy could be effective, but also created heavy costs. Increasing WAN bandwidth capacity. This solution was not only expensive, but also depended on service provider resource availability and could become ineffective if data traffic increases. Investing in WAN optimization. This could be cost effective, but optimizing the WAN was just a short-term fix that could run into major limitations with rising data throughput demands. While all of these options were somewhat viable for video, they weren't ideal, especially in light of escalating data transit demands in the modern enterprise. SD-WAN solutions, on the other hand, capture the benefits of all of these solutions into a single service model. In short, SD-WAN enables organizations to route data traffic intelligently based on the best possible method relative to the type of information in a data packet. For example, Network Computing reported that SD-WAN offers a strong business case for companies hoping to increase network performance to branch offices. In the past, where a company depend on a WAN link or MPLS, organizations can now use multiple links interconnected within the SD-WAN architecture and share that bandwidth. This allows for more cost-efficient bandwidth expansion and creates flexibility within the configuration. The news source noted that with a more powerful physical network setup in place using mixed circuit types, the SD-WAN could then choose the best data transit method for whatever traffic type is moving through the network at a given time. A TechTarget article made a similar point in emphasizing that SD-WAN is ideal for any type of traffic that is reliant on real-time data transit because the virtualized network's ability to optimize routing and improve quality of service at any given time prevents performance problems. SD-WAN solutions enable organizations to cost-efficiently add capacity and flexibility to the network, creating a greater degree of flexibility. With video using so much data and standards around resolution and image quality continually increasing, this adaptability is key. Traditional network solutions have largely served as stopgaps for businesses embracing video. SD-WAN systems could be a real solution. The Fusion SD-WAN service model is backed by our high-performance and redundant network, offering the backbone needed to ensure your network is ready for the challenges of video.